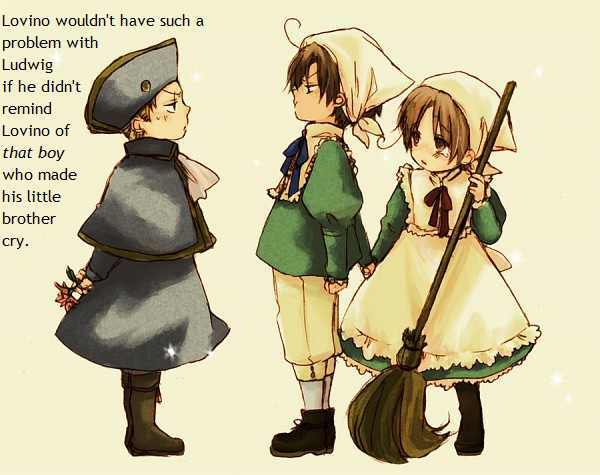 Why Romano hates Germany. . Wallpaper and background images in the Hetalia club. This Hetalia photo might contain surcoat, surcot, tabard, anime, bande dessinée, manga, and dessin animé.